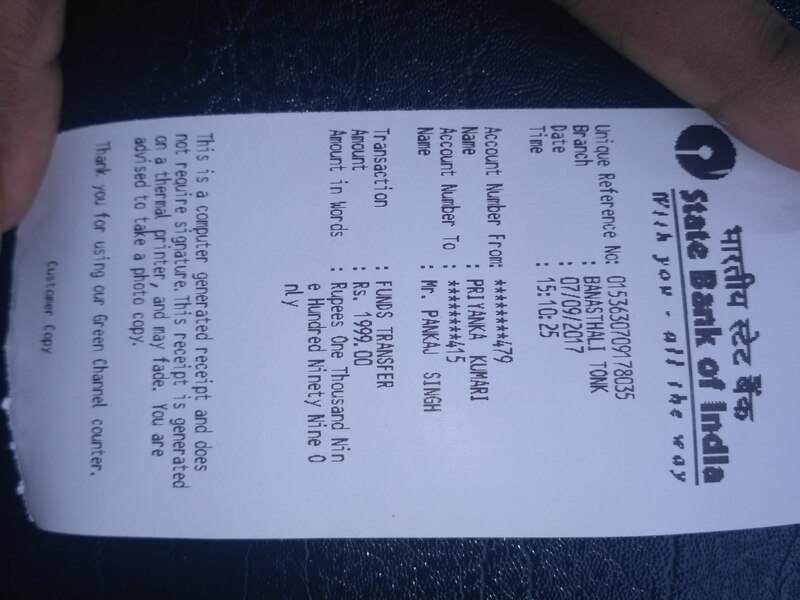 ﻿ Naukri.com - Company Make Fake Promise To Refund My Money Without Giving Proper Information. 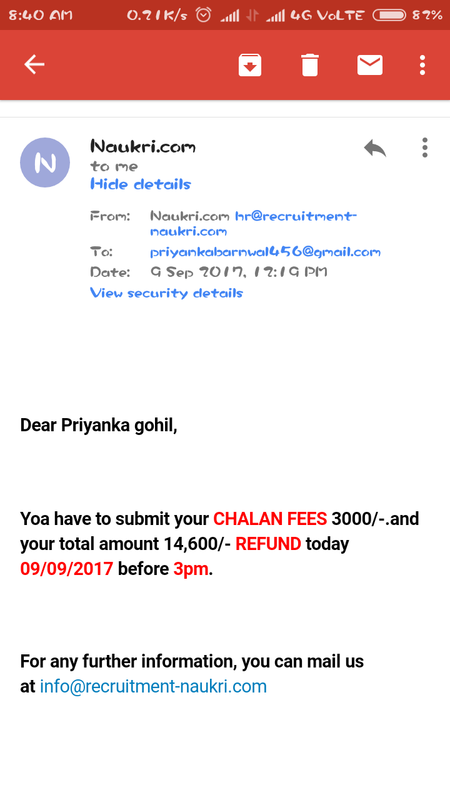 Home > Naukri.com > Naukri.com - Company make fake promise to refund my money without giving proper information. naukri.com - Company make fake promise to refund my money without giving proper information. 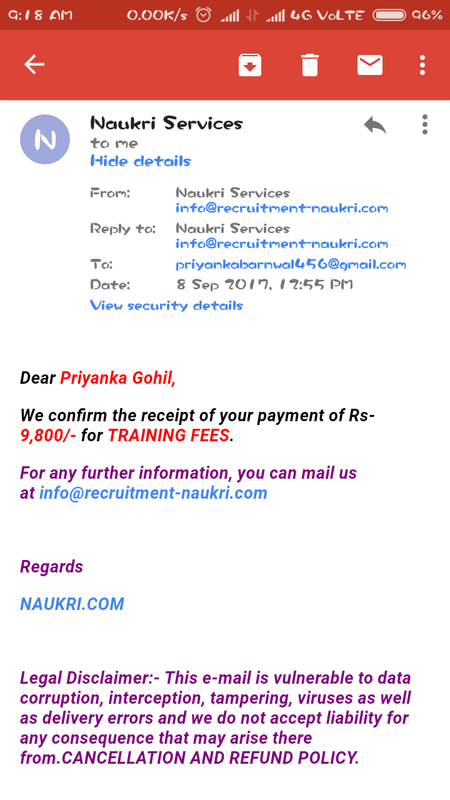 Naukri.com called me(Priyanka kumari) for job offers in HDFC- bank for accountant post and he ask me to deposit 1999 for registration which would be refundable according to them then he transferred call to HR of bank for interview and next morning he called me to give news about my selection for job and told me that I have to deposit 9800 rs for training which is also refundable in any case but they don't inform me that for refund process I have to pay chalan money and they start asking to deposit 3000rs as chalan money but gives no guarantee that they will refund my deposits and all deposits are asked to put in this account- STATE BANK OF INDIA A/C HOLDER NAME :-Mr. PANKAJ SINGH A/C NO. 36917350415 . IFSC CODE:-SBIN0060336. But I refuse to deposit chalan money as i feel unsafe but he promise me to refund it in 15-20days but I don't think so that it will happen . 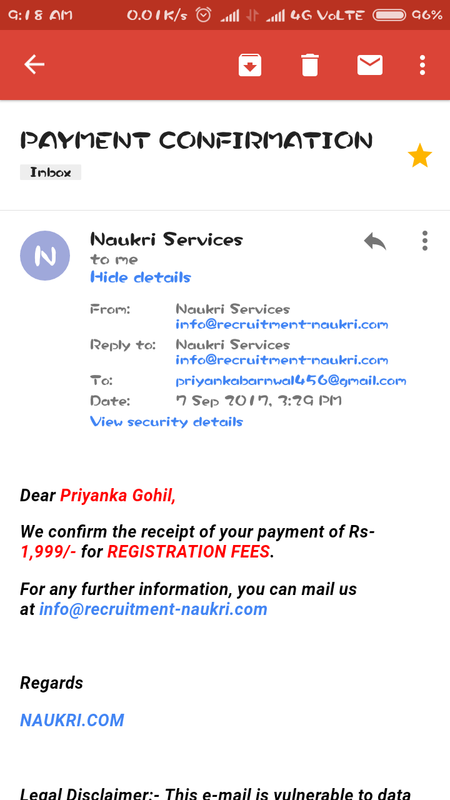 Naukri.com is total fraud and do fraudulent practices . 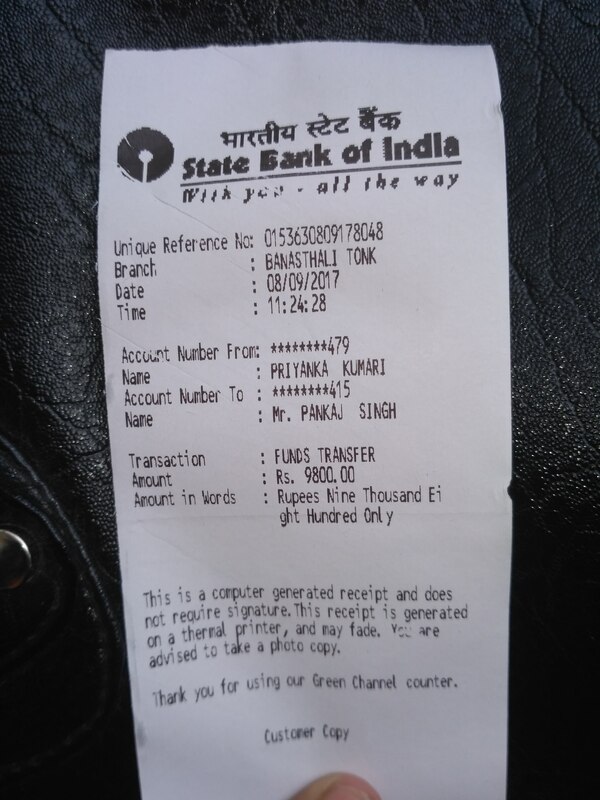 Please take some action against them and help me to get all my deposits back as soon as possible. For this act of kindness I shall be grateful to you.